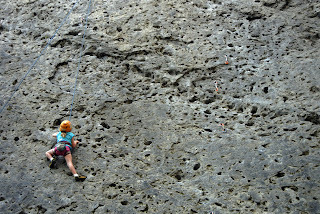 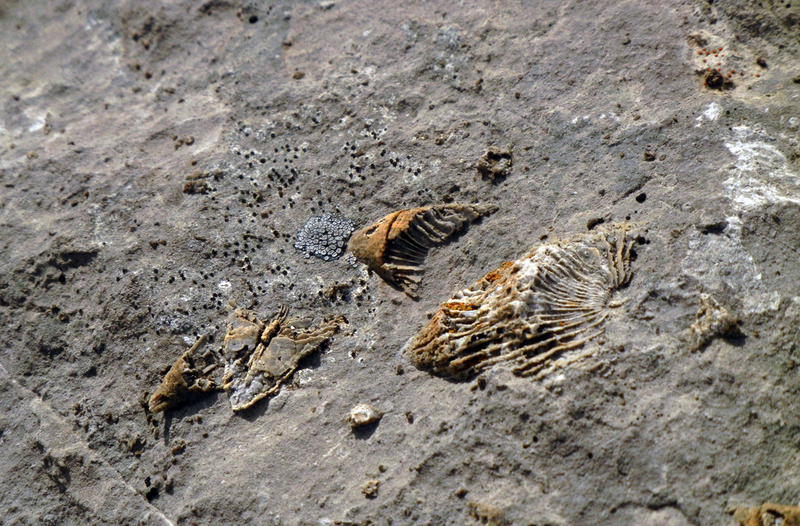 Rock climbing in western Canada can be challenging during the heat of summer, but options do exist. For gear climbing, Squamish can’t be beat and early starts allow good conditions for long, multi-pitch routes on the west face of the Stawamus Chief. 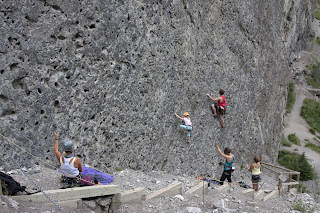 Sport climbing in Squamish is a bit trickier in hot weather as some of the best crags get morning sun and really heat up, which creates greasy conditions well into the afternoon and evening. 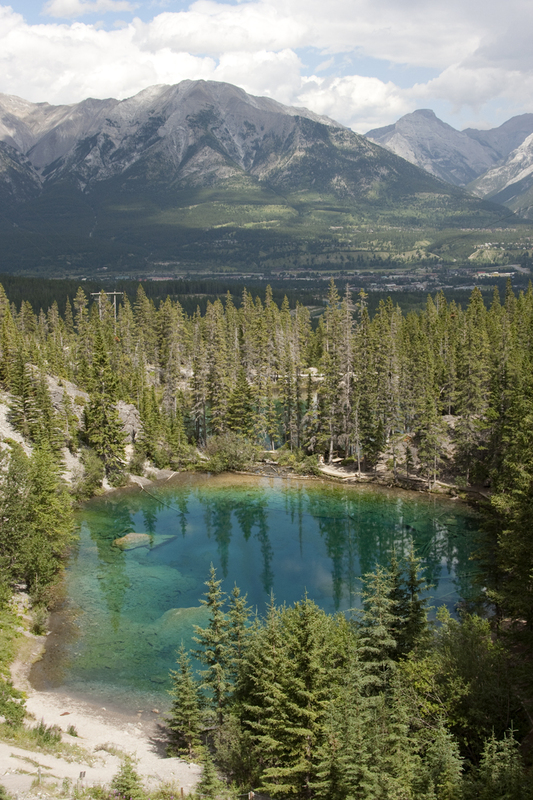 The best bet for those wishing to clip shiny bolts and pull on small holds is the area around Canmore in the Canadian Rockies. Here, north facing cliffs at high elevations provide very good mid-summer conditions on featured and varied limestone walls. 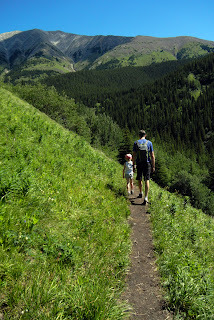 And when it does get too hot, which is rare, this area provides countless distractions as the mountain environment is second to none. Having just finished another three-week visit to this limestone playground, I can vouch for the beauty and quality of the climbing in Canada’s Bow Valley. Overview of Echo Canyon, location of some of the best new sport crags in the Bow Valley. Summer wildflowers are everywhere. 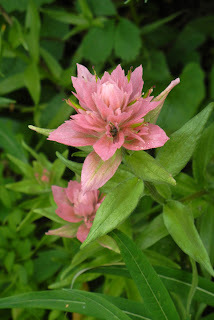 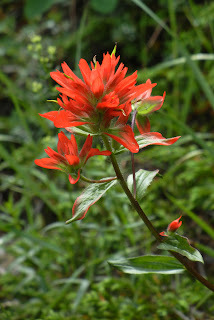 This is Indian paintbrush. 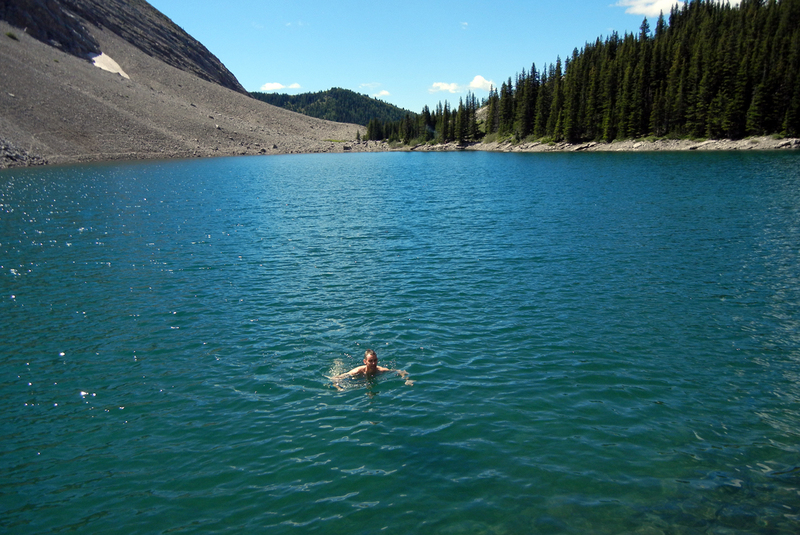 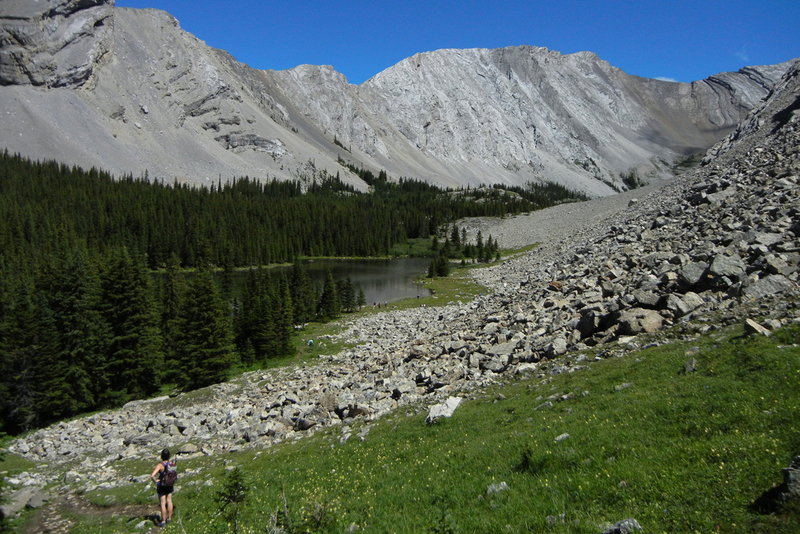 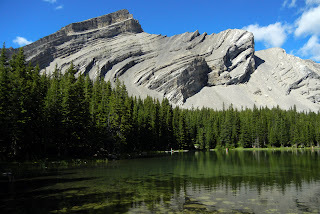 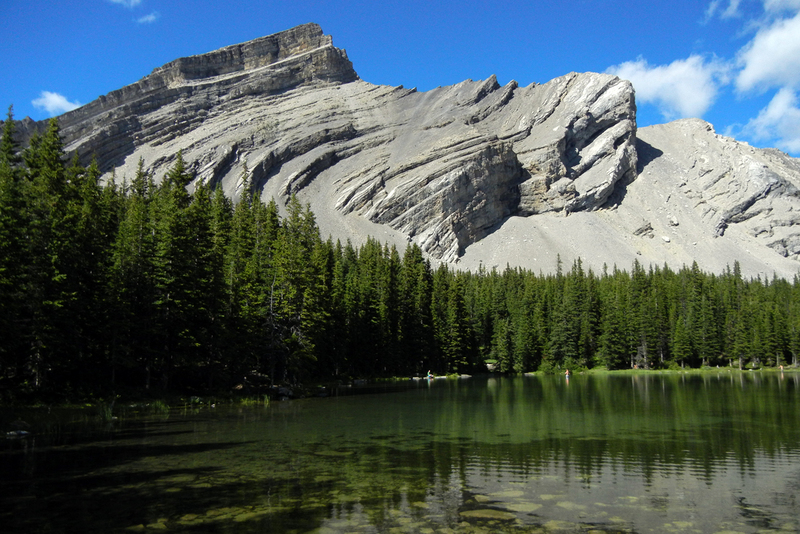 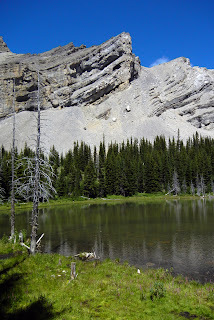 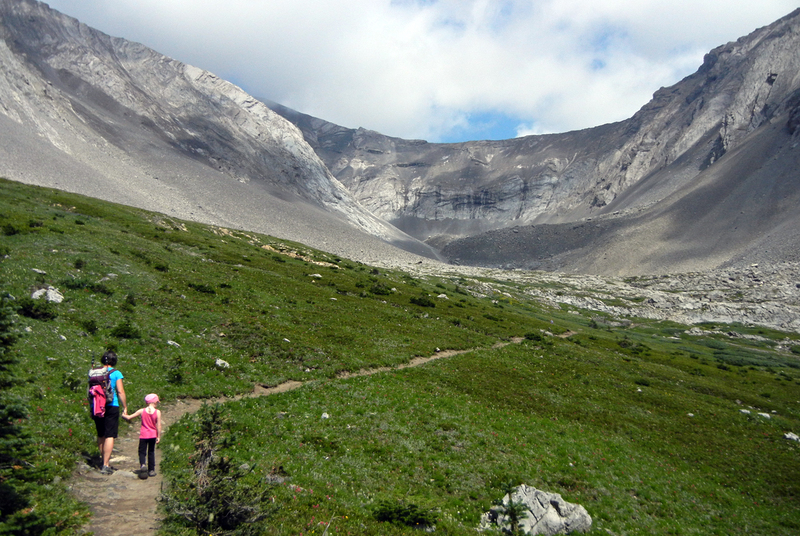 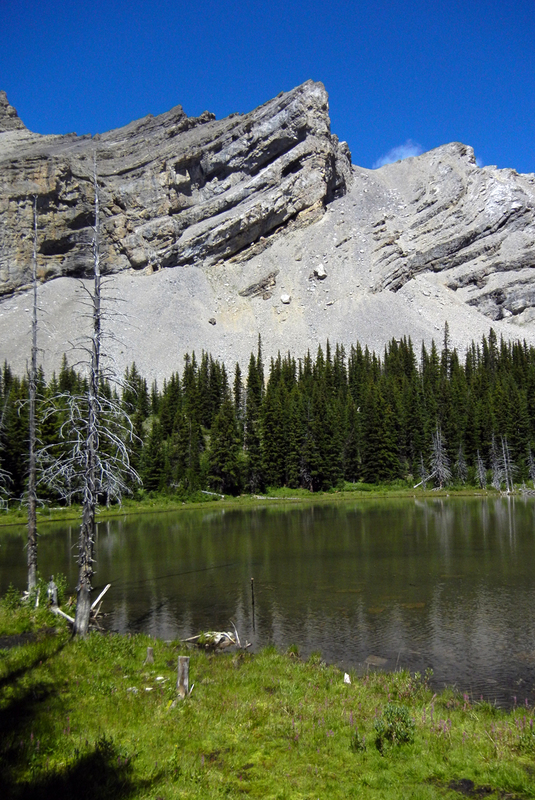 Rest day hike to the Pickle Jar Lakes in the Kananaskis. The water was cold. That's snow on the slope in the background. 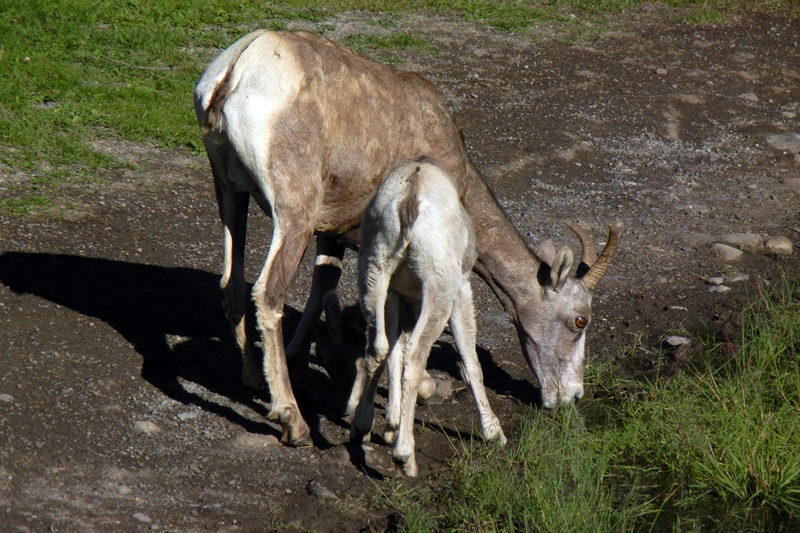 You can't come to the Canadian Rockies without spotting a variety of wildlife. These are bighorn sheep (with small horns). 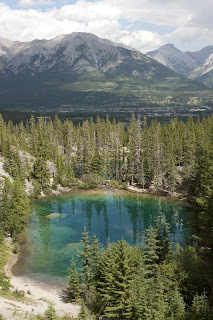 Grassi Lakes is a great spot for novice through advanced sport climbing. 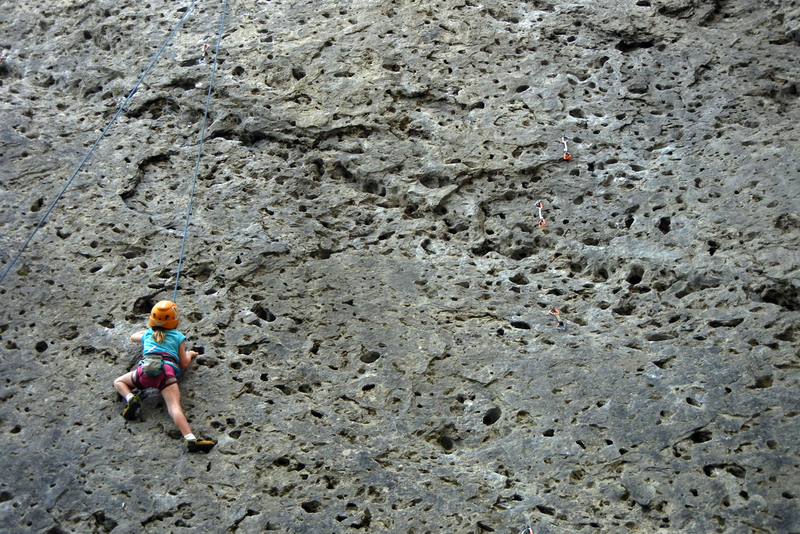 This is the Golf Course Wall, home to a million pockets. Ptarmigan Cirque hike. 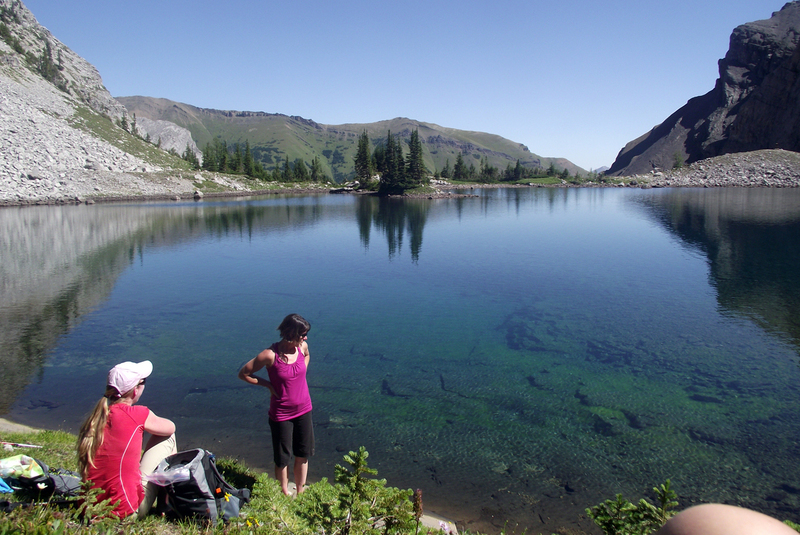 Gorgeous alpine meadows. 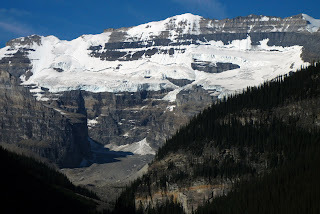 Plain of the Six Glaciers at Lake Louise. This is a world class hike to a European style tea house in the alpine. 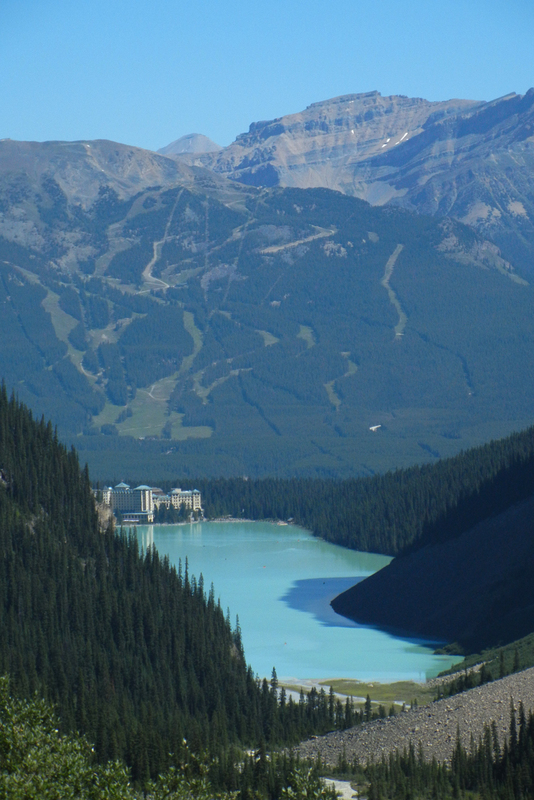 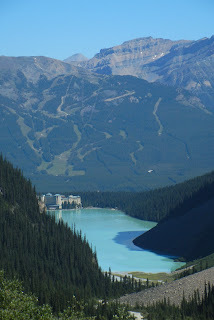 Lake Louise. Home to world class hiking and some incredible quartzite sport climbing. 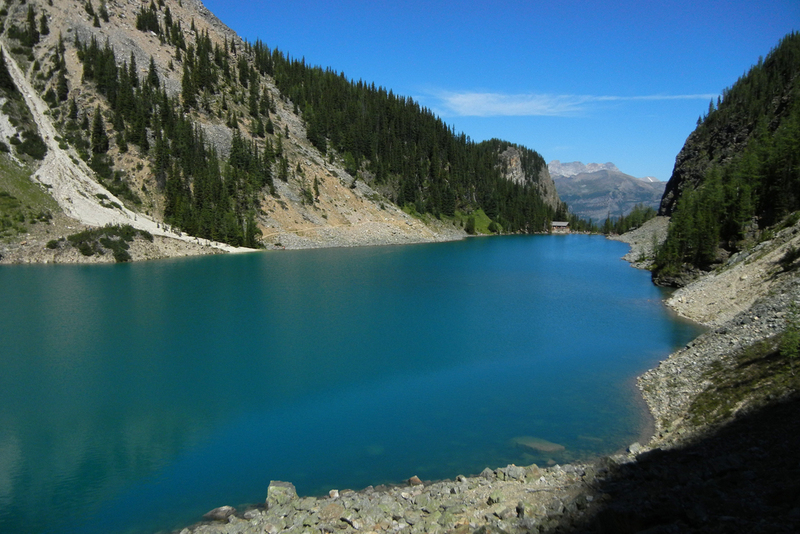 Lake Agnes above Lake Louise. 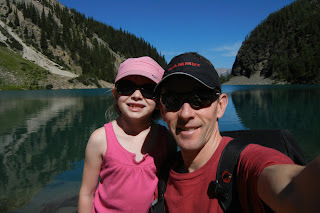 Father daughter time at Lake Agnes. 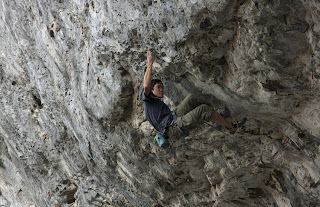 Finally, the climbing. 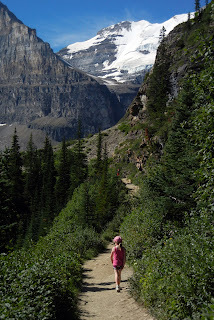 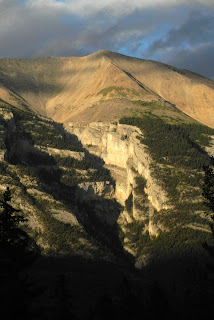 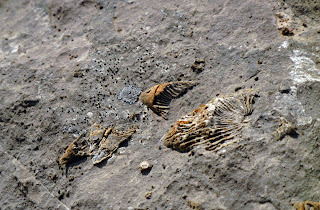 We spent most of our time at Acephale, a north-facing wall with predominantly hardish routes, but also spent time climbing at Grassi Lakes, Carrot Creek, Lake Louise and Echo Canyon. A few photos from our days out. 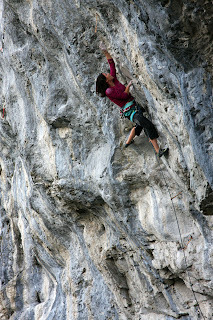 Chrissy Blakeny on Jingus Americanus (5.12d) at Acephale. 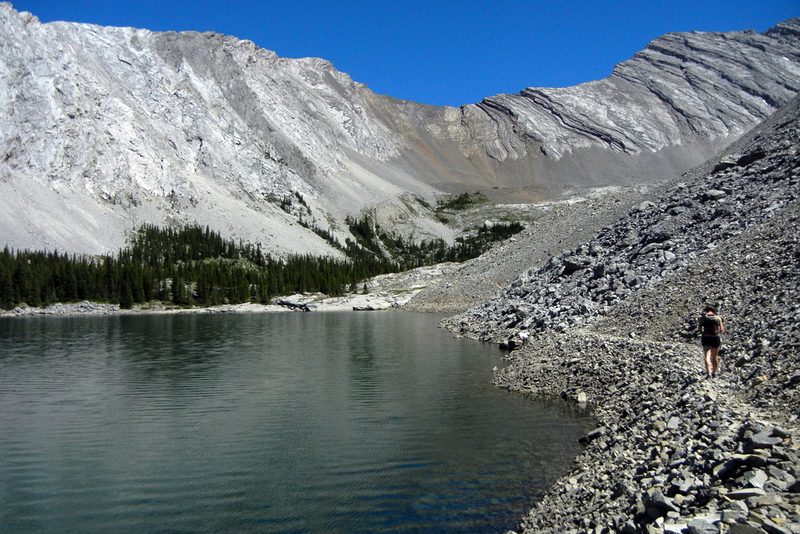 Golf Course Wall at Grassi Lakes. 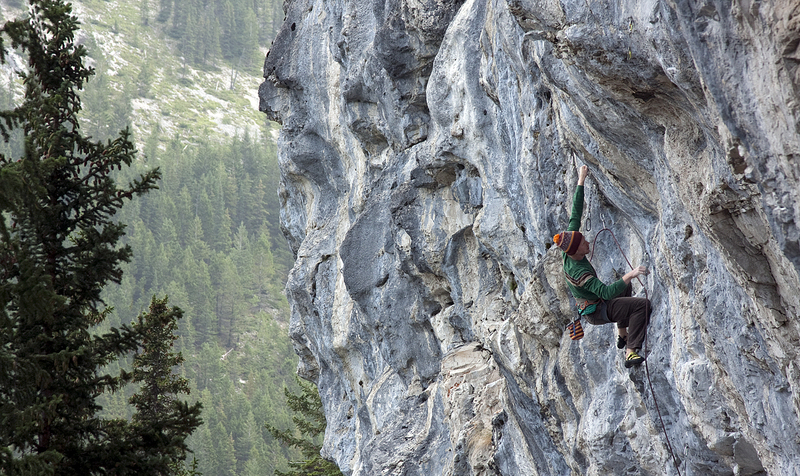 Ben Blakeny on Whaleback (5.13c) at Acephale. Evan Hau on Bunda de Fora (5.14d), likely the hardest pitch in Canada.